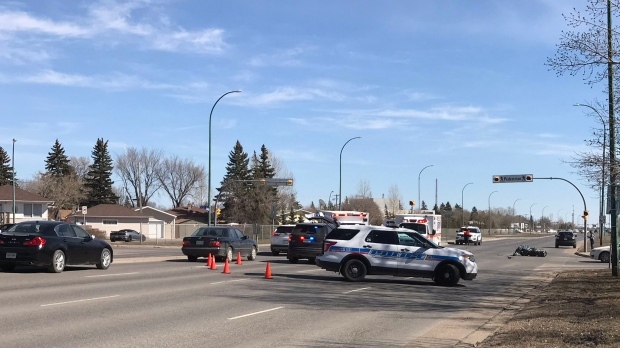 The scene of a collision between a car and a motorcycle on Arcola Avenue on April 12, 2019. 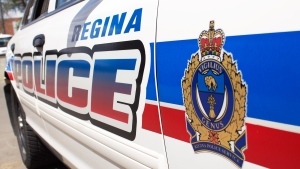 A 32-year-old Regina man is facing four charges after a collision between a car and a motorcycle. The crash happened on Saturday at the intersection of Arcola Ave. and Fleury St. in Regina’s east end. Both the driver and passenger of the motorcycle were taken to hospital for their injuries. Police said the driver of the car, 32-year-old Dylan Dubois, was taken into custody at the scene. 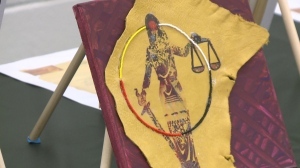 He has been charged with two counts of impaired driving causing bodily harm, and two counts of exceeding a blood alcohol level of .08 causing bodily harm. Dubois will appear in court on May 1.